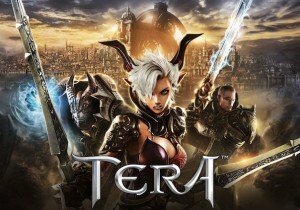 En Masse Entertainment, a player-driven publisher focused on delivering great games and exceptional service, is excited to announce that its award-winning PC action MMO, TERA, will be available on Steam starting today, May 5, 2015. Since its launch, TERA has amassed over 17 million registered users around the world, built a strong community of fans, and continues to receive praise for its action-focused combat by players and critics alike. Now, for the first time since its North America launch in 2012, TERA will be available to download and play for free by Steam’s growing community of over 100 million players. Today’s debut on Steam also coincides with the launch of an exciting new update, introducing a brand new class to TERA: the gunner. Gunners are a fast-moving, high-DPS, ranged class who never stop to ask questions because they’re too busy shooting first! With run-and-gun tactics and cool new weapons, TERA’s True Action Combat has never felt so satisfying. More details on the Gunner can be found on the TERA, or check out our custom coverage in Mikedot’s write-up and JamesBl0nde’s first look video! It was pretty clear from the moment I got at the booth that Moving Hazard was popular on the floor. Yoozoo Games is proud to announce that their latest iteration of the League of Angels series has officially launched globally.